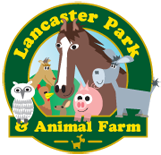 Lancaster Park & Animal Farm was opened in 2011 by Benjamin Lancaster. Ben, who was born in 1940, started out as a coal miner before moving into demolition. In 1960 Ben bought some farm land in Chadderton where he built a home and raised his family alongside his wife Lily. Over the years Ben was responsible for the demolition of many of the North West’s cotton mills and chimneys including the Schwabes chimney in Rhodes, the Times Mill and the Laurel Mill. He was always passionate about recycling and reusing materials, even before it became fashionable and would salvage anything that he could. Alongside his work as a demolition man Ben’s main passion and hobby was his home and farm where he kept a small selection of animals. Over many a summer his friends would bring their children to Ben’s house and he would show them around his chickens pen, his bee hives or his pig pen. Ben was passionate about wildlife and nature and was dedicated to teaching his children all he knew, he would often take his children walking across fields after work, showing them how to identify edible mushrooms, find birds’ nests, teaching them how to know one tree from the next and spotting hares in the grass. In the 1990s Ben and his wife purchased several plots of land at Mills Hill, in the valley of the River Irk, which had previously been used for landfill. Back then Ben used some of the land to store his demolition machinery and salvaged materials from the mills he had demolished, until one day he had an idea. He knew how much his friends’ children had enjoyed the tours of his farm house and so he set about opening a park where families could visit and see wildlife and other animals. However this turned out to be a long and difficult process and was rejected on several occasions over the course of 20 or so years by the local council. Undeterred Ben continued to fight for his park, until one day after another rejection Ben had had enough, at this point and in his 70’s Ben thought to himself it’s now or never and despite not having permission set about building his farm in any case. As you can imagine the council were not happy at all and so ensued a lengthy legal battle. The council instructed Ben to demolish the animal buildings that he had built or face legal action, so Ben launched an appeal. After several more years of fighting which ended in a 2-day public enquiry the government’s planning inspector, Mr John Braithwaite granted permission for Ben to keep his farm open. We’re not saying this was the ideal or best way to do things, but Ben being Ben, it was his way! Since then the farm has gone from strength to strength. Initially Ben, his daughter, 2 sons and two lovely volunteers from the local college, Chloe and Laura worked on the farm at their own expense during the weekends and before and after work. Eventually, as the farm became more popular the family and volunteers were able to dedicate more and more time to improving farm and what it had to offer. Today the farm is better than ever, over the last 6 years the family and some dedicated volunteers have completed the circuit of the Nature Walk (a ½ mile walk through the valley of the River Irk) and added animal shelters, 2 play parks and seating along the way. The Petting Barn was opened where children can hold and interact with small animals. Several child friendly rides have been added including the Caterpillar Ride, the Rooster Rally and other activities such as Digger Island and the Pirate Shooting Gallery. Much of the farm is built from the reclaimed materials that Ben had salvaged from his earlier demolition work. The family (spurred on by Ben) is now in the process of opening a barn for customers which will house a soft play area and café…which (you may be glad to know) they have gained permission for in advance of building! Today the farm is looked after by Ben’s children David, John and Lily alongside a small group of dedicated volunteers and staff members. The family are dedicated to improving and reinvesting in the farm and are sure you’ll see it get better and better over the coming years. They would like to say a massive thank you all those who have given their time to help build up the farm over the years… Onwards and upwards!